EARTH University promotes and educates about sustainable agriculture – a form of farming that safeguards livelihoods, while advancing rural equity and community well-being. Our alumni have championed this commitment by carrying out natural-resource conservation projects across the planet. 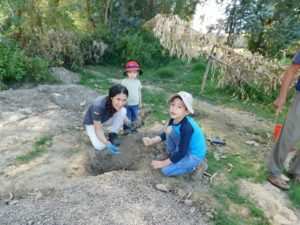 While bringing the idea to life, they discovered they shared their goal with the Colegio de Profesionales Forestales de Cochabamba – an association of forestry professionals based in Cochabamba, Bolivia. In 2018, the two entities established a framework agreement for interinstitutional cooperation in which they committed to executing environmental, forestry, agricultural and fair-trade projects in the country. The team behind the agreement decided to hold a planting as its inaugural action. 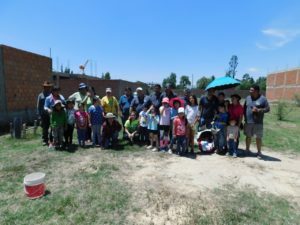 Fifteen alumni families carried out the task in two public parks in Organización Territorial de Base de Sirpita, an urban-farming community within Cochabamba. In total, the volunteers planted 520 saplings of 22 species. 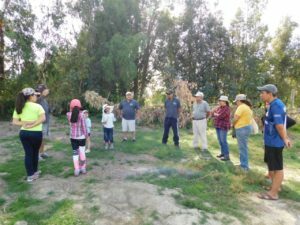 More than just a volunteerism project, the activity served as a much-needed rendezvous for EARTH graduates and their families, allowing them to reconnect, share stories and reaffirm their commitments to sustainability. Carlos observed the University’s legacy embodied among the graduates’ children. “They are kids with environmental conscience, and they worked very well with the plants,” he said. The government of Cochabama, who supported the project by donating saplings, shares the dream of the participating EARTH alumni: to see these small trees become forests for the community. The parties to the agreement will continue monitoring and measuring the positive effects. Beyond the annual plantings and seedings, the collaborators hope to dedicate themselves to developing and publishing materials on the sustainable handling of natural resources and applied environmental research. If you’d like to get involved with this initiative of EARTH graduates in Bolivia, please reach out to Carlos Román at cromancal@yahoo.com.